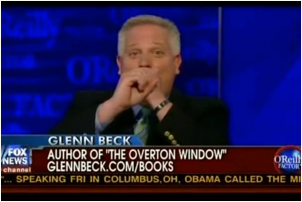 1 ) On June 11th, Beck told Bill on the O’Reilly Factor, ”I hate [soccer] so much, probably because the rest of the world likes it so much.” Below is Beck blowing an imaginary vuvuzela. “I’m an American!” Beck yelled at Bill O’Reilly, who seemed to be OK with the sport and openly admitted he was supporting the team from Cote d’Ivoire. “We don’t try to shove football down your throat,” Beck continued, so “don’t try to shove this crap down our throat.” O’Reilly wasn’t quite convinced that Beck’s disdain for soccer was justified, calling it a “healthy sport” and suggesting that the only thing he could imagine that would make soccer so evil to Beck was that “it was Woodrow Wilson’s favorite sport.” At some point, O’Reilly just declared Beck a “pinhead,” at which Beck responded, “talk to the hand.” The Review is not sure if this says more about Beck or O’Reilly. How many native-born Americans are supporting non-American teams? Beck considers O’Reilly a friend. OOOooK. Beck: We saw it on the border. If you really wanted to protect us, you would fix the problem. You would fix the flood of illegal aliens coming across the border. Now we have President Obama. We didn’t stop the flood of illegal immigrants. What are we doing now with the spill? If this were really about the spill, we would first work on, what? Stopping this! Before talking about energy and taxes and cap-and-trade or solar panels or saying, “Don’t tell me that we can’t fundamentally transform the country into solar panels and green energy.” You would stop the oil spill. You would get a tourniquet. This should be our priority. But it’s not. 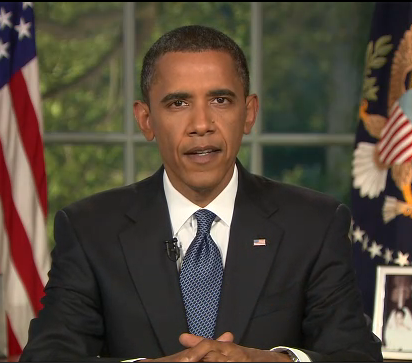 Obama: Those who think that we were either slow on our response or lacked urgency don’t know the facts. This has been our highest priority since this crisis occurred.” He also commented: “But here’s the broad point: There has never been a point during this crisis in which this administration, up and down up the line, in all these agencies, hasn’t, number one, understood this was my top priority — getting this stopped and then mitigating the damage; and number two, understanding that if BP wasn’t doing what our best options were, we were fully empowered and instruct them, to tell them to do something different." 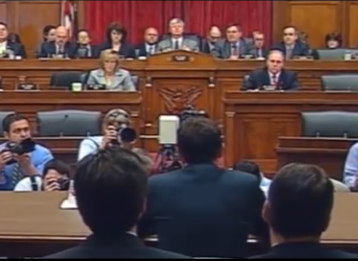 3) Beck compared BP hearings to McCarthy hearings, feeding Christians to lions. On the June 18 edition of his radio program, Beck asked during a discussion of the BP hearings, “How do we not see the McCarthy hearings in this and everything else that is going on in Washington?” He went on to criticize the tone of the hearings, stating, “If you have all of the facts, if you can nail them to the wall, there’s no reason to get nasty.” Beck concluded: “We are in a thugocracy. We are being run by criminals, and we’ve got a little puppet show just to entertain the masses. Why don’t we bring some Christians out and feed them to lions?” It’s not surprising to see Beck taking the side of BP, an unscruplous oil giant, against the elected Representatives of the American people. 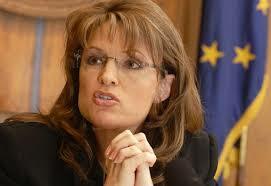 During the same broadcast, Beck said of the federal government’s investigation into BP: “They’re not investigating. They are making speeches on television. That’s all they’re doing. There is no investigation going on here.” Beck then suggested that the government instead investigate the details of one of his conspiracy theories, stating: “So you want to do some investigation? We have some investigation. You want to do some investigation? Go out — send an investigator. You people in Washington, I don’t even know what you do. What is your expertise besides stealing from the American people?” The Review has discovered that Beck himself doesn’t bother investigating his conspiracy theories. See Joel Rogers’ Answer Exposes Beck’s Crime Inc for details. First of all, BP executives offered to set the $20 billion escrow account to deal with the massive financial losses to the people in the Gulf. More to the point, Beck, who pretends to be on the side of his audience, is taking the side of the corporation that caused the oil spill. Beck: Again, George Soros has nothing to gain from this. He’s just telling the president what to do through the Center for American Progress. The Soros Fund Management LLC, I guess we should tell you this, holds a stake in Petrobas [sic], that is the oil company of Brazil, in the amount of $900 million as of December 31, 2009. Petrobas, theBrazilian oil company that the Obama administration – get this – the Obama Administration is now lending $2 billion to. You ready? Wait for it. What is the $2 billion going for? To perform offshore drilling in Brazil. MM: The message claims that George Soros would “benefit most” from the loan, but that is also a baseless accusation. Soros is a favorite whipping boy of conservatives because of his early financial help to the liberal group MoveOn.org. And he is indeed a major investor in Petrobras, through his New York-based hedge-fund firm, Soros Fund Management LLC. But the hedge fund recently sold 22 million shares of common stock in the company (which carry voting rights) while buying 5.8 million shares of preferred stock (which is non-voting.) As reported by Bloomberg News, Soros reduced his stake in the company before any of the Ex-Im Bank’s promised loan has been dispensed. What doesn’t sound right are Beck’s words. The President has repeatedly talking about fighting the war on terror including in his inaugural address. Furthermore, Beck, once again, distorted the President’s words. Following is a link to the President’s speech. I challenge Beck’s supporters to point out where Obama announced a war on an oil slick. Click on his picture below. Beck will be expelled from "Fox News” by years end. Nobody here has said that Obama is always right; far from it. No one calls Obama a "Messiah" other than right wing pricks. You do seem pretty silly with your ideas of what the President is trying to do. 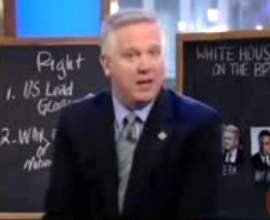 My guess: you watch Glenn Beck who is absurd and deceitful in his "analysis."